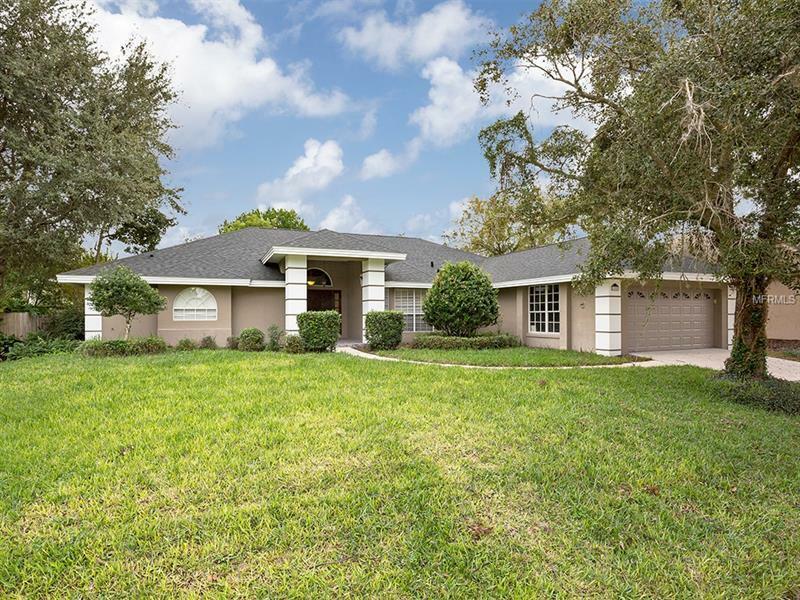 Beautifully maintained home in the heart of Oviedo! This wonderful home offers a large bonus room perfect for game room or play room. With all the living space on one floor, the home features a split bedroom plan, master suite with garden tub, separate shower, dual sinks, and walk-in closet. Wood foyer entry overlooks large living room. Kitchen features ample cabinet storage and solid surface counters. Screened porch off breakfast area, and large patio within the fenced yard. Recent updates include new roof in November 2016, new carpeting in 2017 and a new garage door in 2018. Great location, convenient to Oviedo High School, shopping, and restaurants. Welcome Home! Pet Restrictions: Buyer to check with HOA for any pet restrictions.